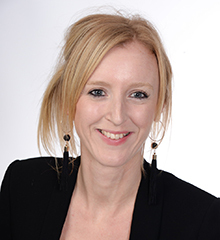 Emma is the Assistant Head of the department and takes a lead on the department's provision of International Baccalaureate Language A: Literature and Language and Literature; and Film. She is an experienced IB practitioner and asides from teaching Language and Literature she is also a qualified examiner for this subject. In addition to the teaching of English at IB, she is an Extended Essay Supervisor for English, World Studies and Film as well as being a CAS Advisor and a member of the IB Academy team as a form tutor. 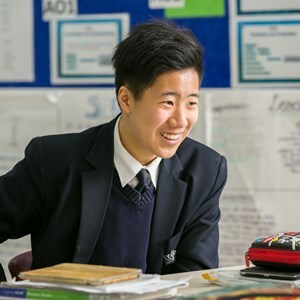 Apart from IB, Emma also teaches both Key Stage 3 and IGCSE students. At IGCSE she is a teacher of Cambridge English as a Second Language, English First Language and English Literature. Furthermore she is an examiner for the Cambridge English as a Second Language oral component. She loves teaching English at NAIS Pudong, and most of all, loves the way that internationalism is celebrated amongst the students and staff here and strives to incorporate this into all elements of her teaching. Emma is dedicated, creative and energetic. She is not only passionate about English language and literature but also enjoys lively debate about topical social and political issues. In her spare, Emma is a keen runner and has competed (albeit at a glacial pace) in events such as the Great Wall Half Marathon. She loves to travel and explore the many fantastic destinations that China and Asia have to offer.